I’m sure you’ve all been keeping up to date with Alice’s progress on social media. Not only does she have her own Instagram page which gives you daily doses of baby spam, she also appears frequently on my on socials too. 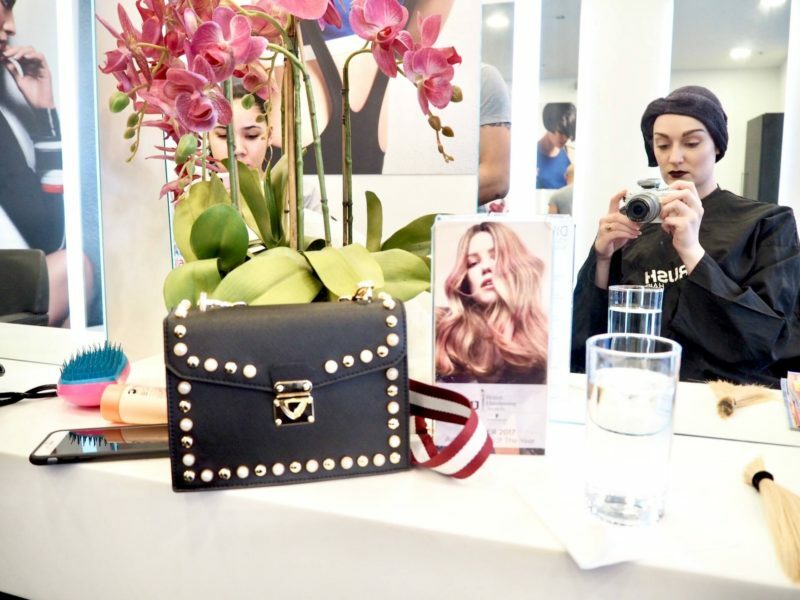 I think it’s really important to document her journey so she (and I) can look back on what she got up to and when. 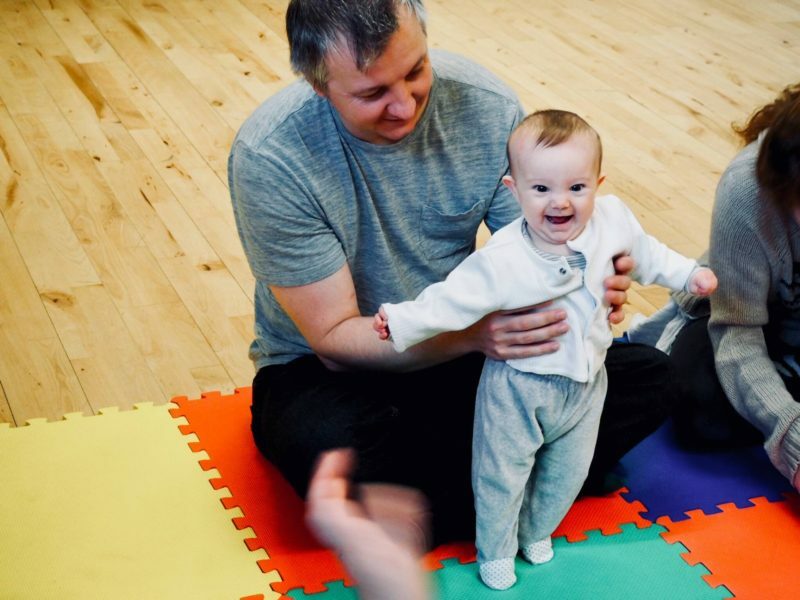 This post is all about what we’ve discovered through Tots Play developmental play class over the past six weeks, and what a difference it has made for Alice. We were contacted to come and enjoy a taster session at our local play class with Carly at the Havers Community Centre. 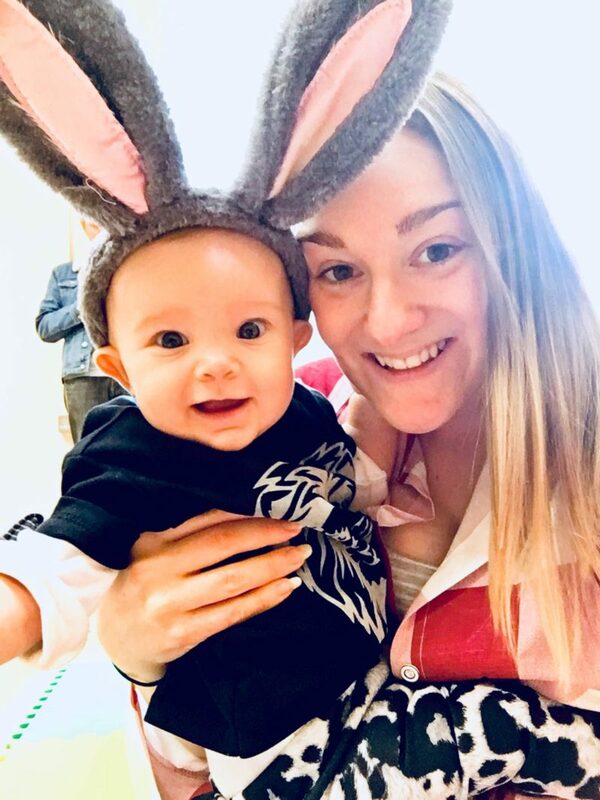 Tots Play classes are unique, multi-activity, developmental play classes held all over the country, so be sure to look up yours if you’re interested after reading this post! 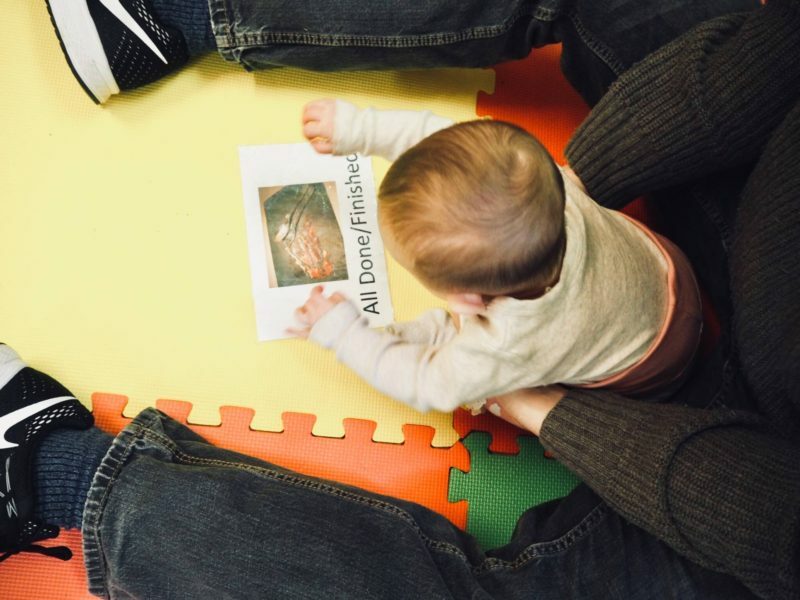 There are different classes for all ages, and when we started Alice fell into the 8 weeks – crawling category: Discovery Tots. 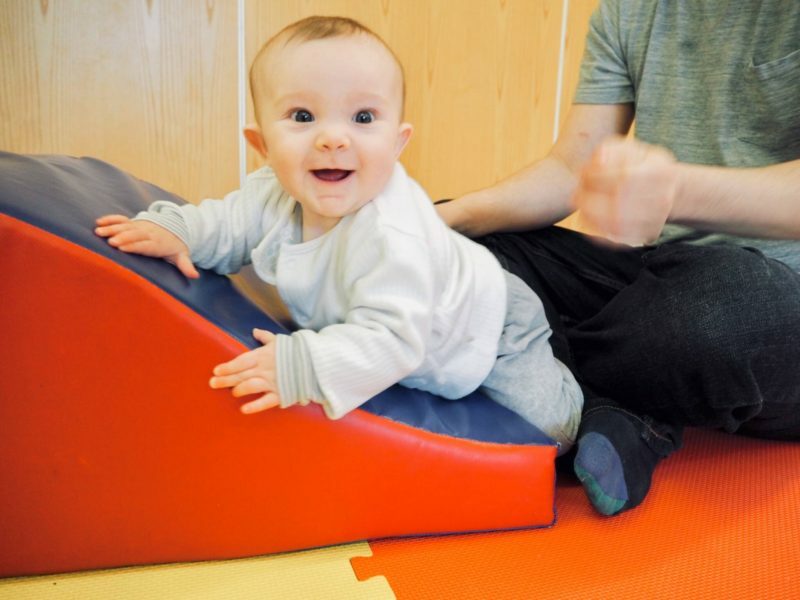 Discovery Tots is a weekly class for babies who love to learn using their whole body and all their senses! 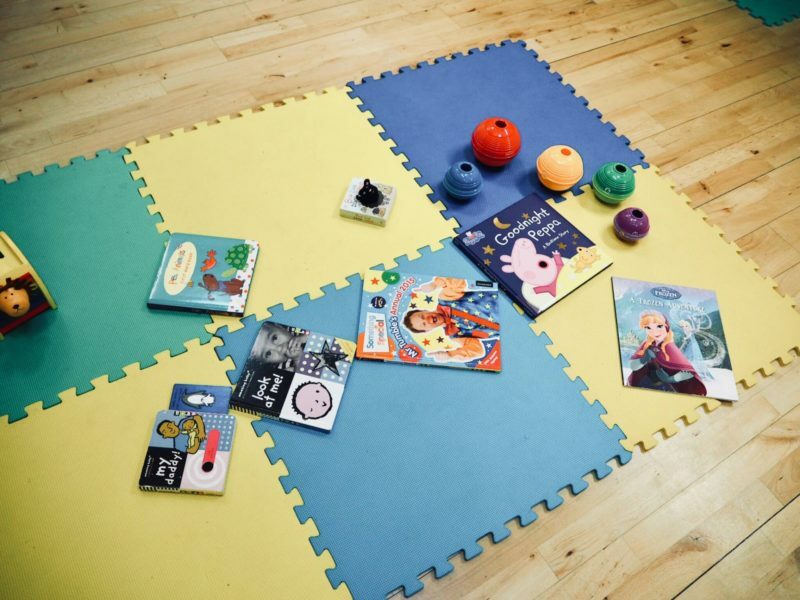 This includes baby yoga, movement and music, baby sign language, multi sensory play and wind down time. It’s a lot to take in for a baby in just one hour, but for them I’m sure the class feels like a lot longer. 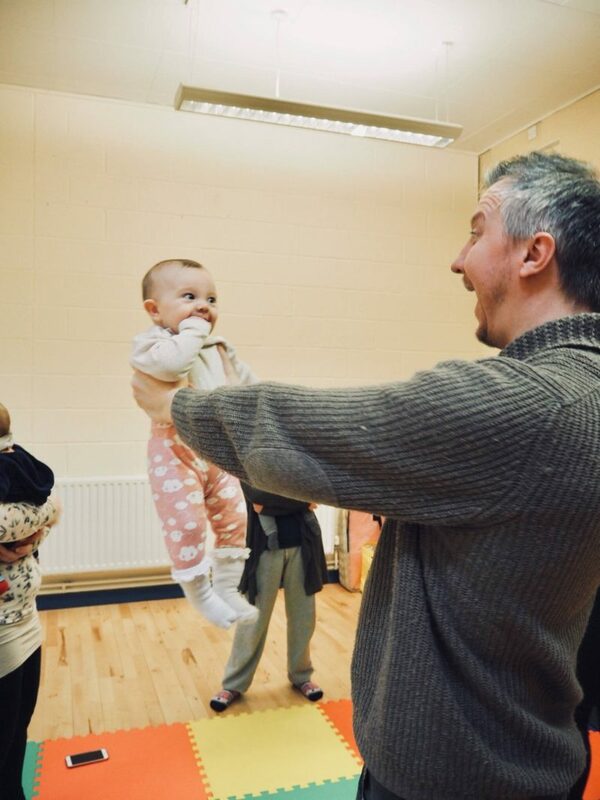 We met with the other mums and dads in the group and easily joined in singing songs, learning new moves and trying some baby signs. 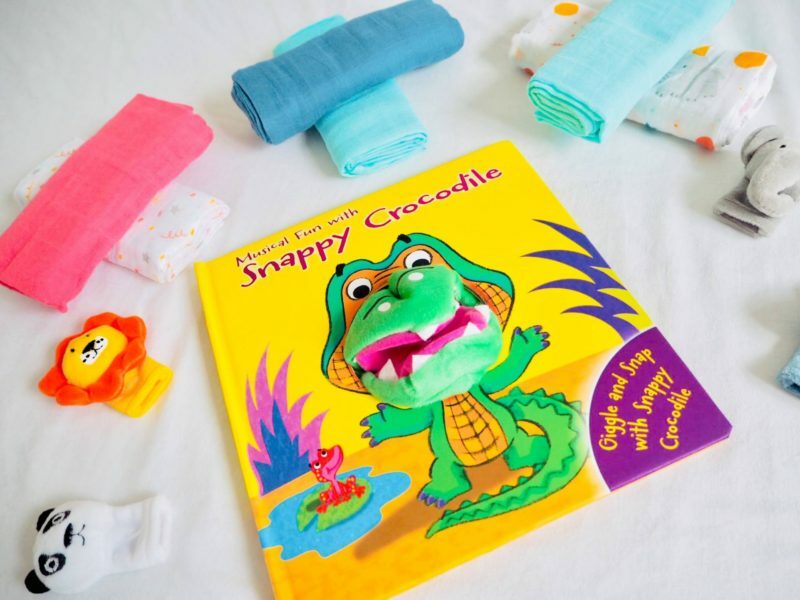 After our welcome and warm up, the next part of the the class was themed which is ideal for a baby’s sponge-like brain. 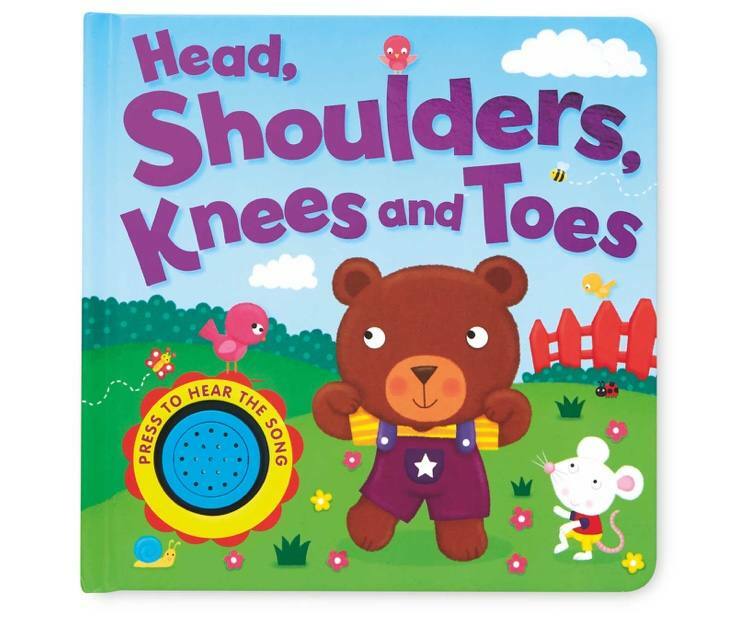 There is always something new to explore, be it sensory toys, books and lots of different things to touch and hold. 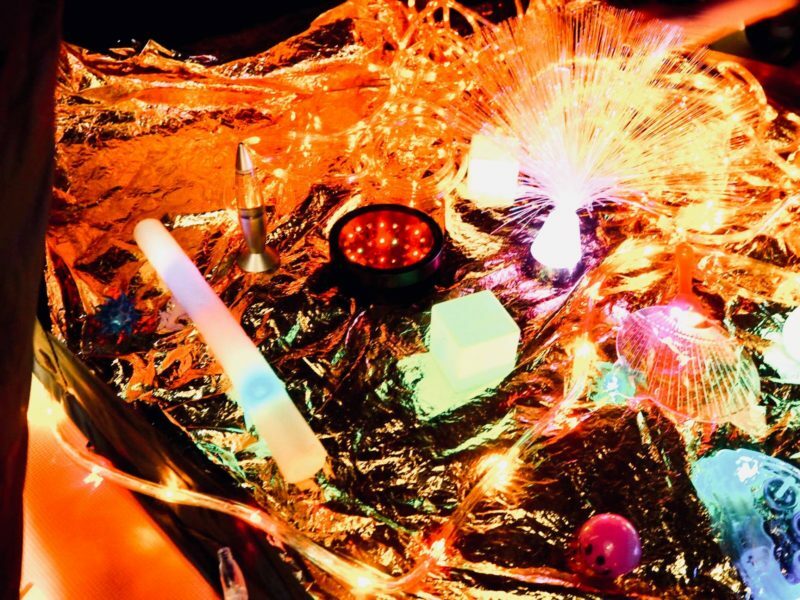 Just look at this fabulous sensory tent filled with lights galore- Alice was mesmerised! 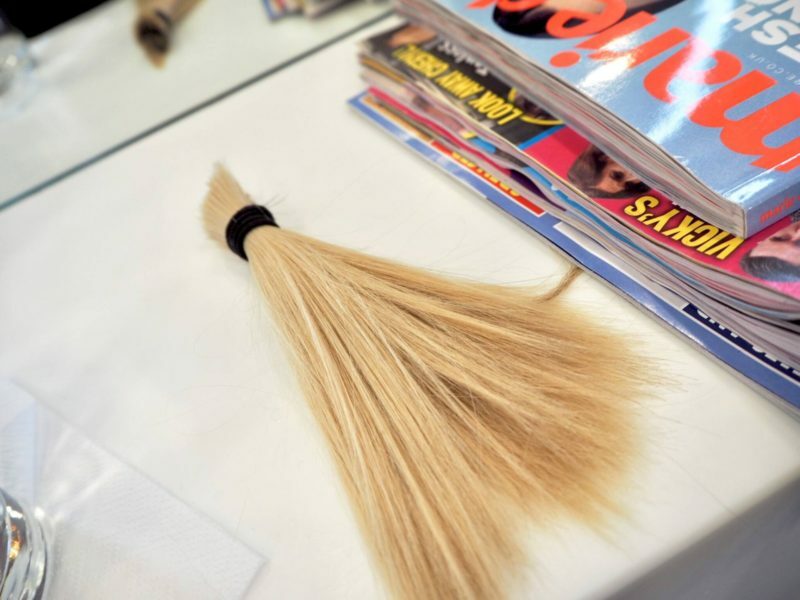 Here are some shots from a more recent class- definitely more hair and so much stronger! If you want to find your local Tots Play class, head over to the website here for more details. 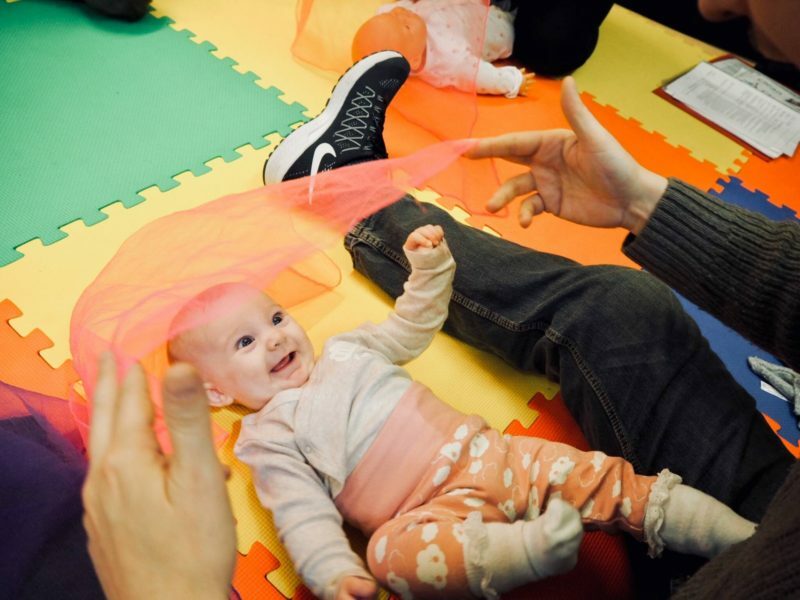 We have just loved being a part of this group, and what we’ve discovered through Tots Play developmental play class is priceless for both myself and Alice. We’re so looking forward to our next session tomorrow! Look out for it on Alice’s insta story (@thealiceiris). 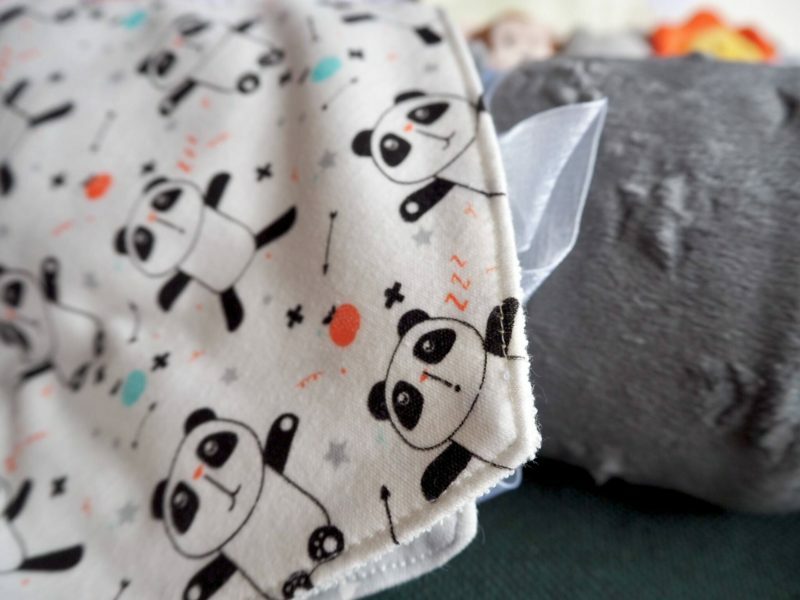 Find out what we got in the latest Aldi Specialbuy event! 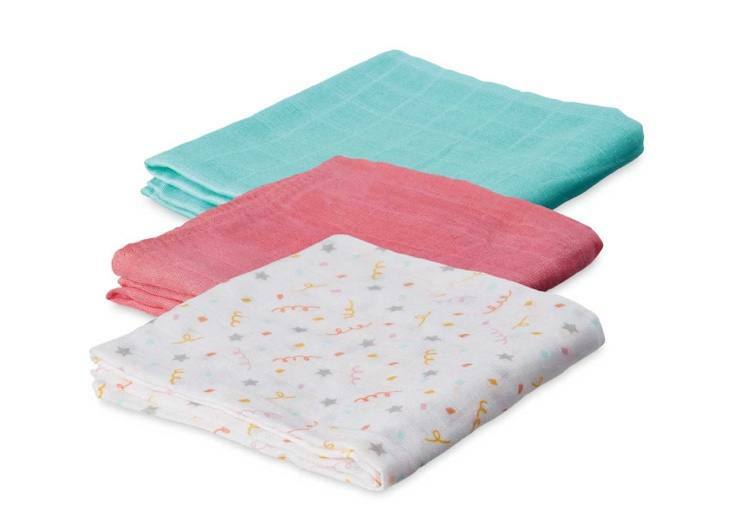 These are such beautiful cloths and available in a range of colours in sets of three. In the middle are some rather fun finger puppets. Notice the monkey is missing from this set as Alice has already claimed it and it wasn’t available at the time of photography ? Alice just adores any book with a big button to press for sounds. How strong is your sanity mums- 100 pushes or 1000??? 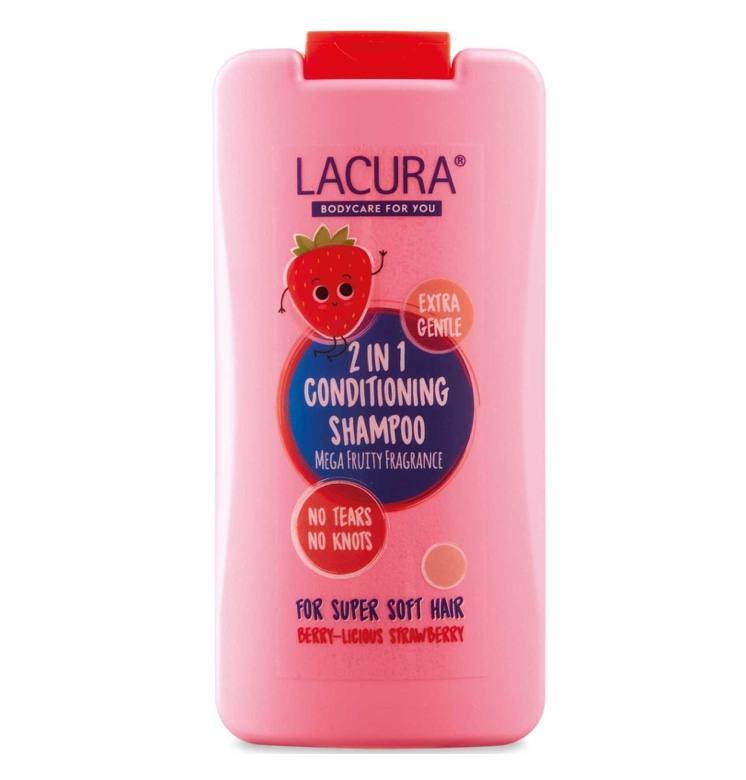 Next up is a rather scrummy shampoo. If you’re already in danger of eating your child due to scrumminess, be warned as this makes their heads smell even more amazing. 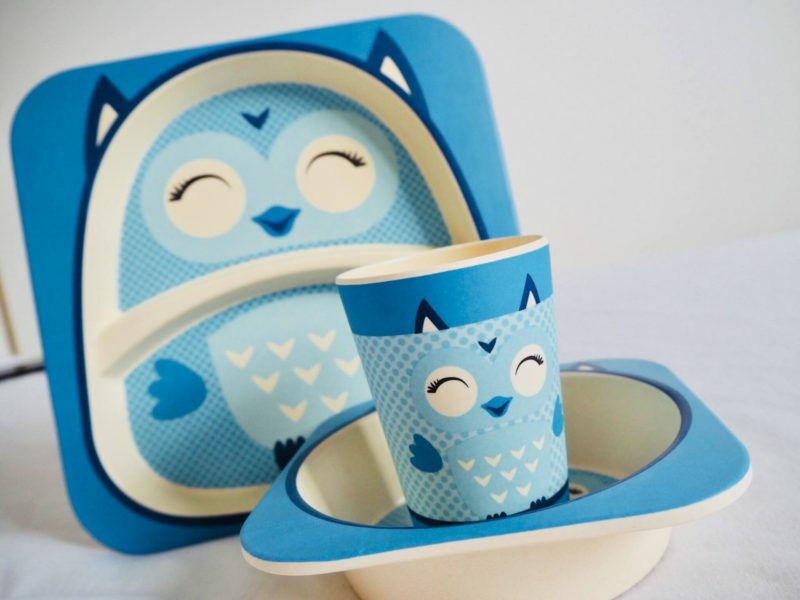 Below is one of the many adorable dinner set options. 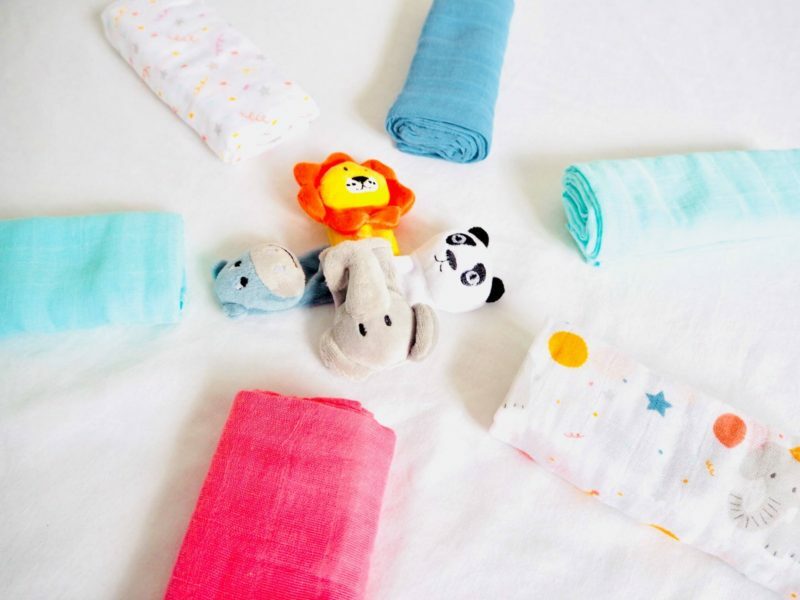 You could also go for shark, butterfly, monkey and giraffe! I think we have ended up with an average of two and a half blankets in each room and car we own. 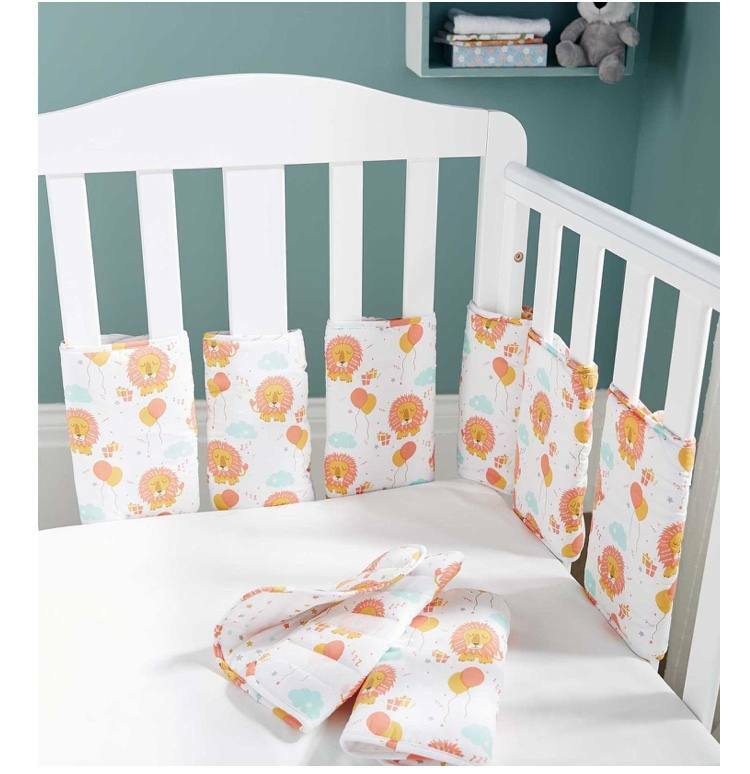 This is useful as well as time saving- who wants to be running round trying to find a blanket when you’re already half an hour late leaving the house because duh, you have a baby! The sale has already started online and it’s heading in store for April 19th. 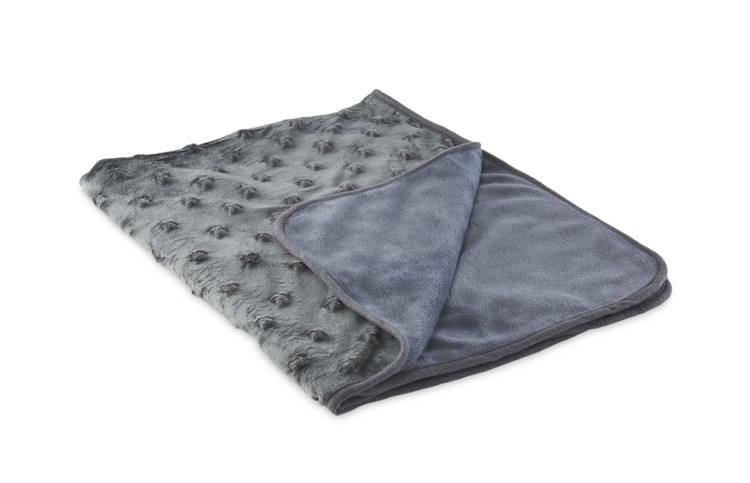 There are hundreds of items available on the website and some are in store only so you’ll have to pop down to your local Aldi if you see something you just have to have! Thanks for reading ‘Aldi Specialbuy Baby Event is back’, I hope you pick up some amazing deals and don’t forget to show me what you get! He’s back! It’s time for another husband takeover on the blog. Paul is needing a major wardrobe clearout this season, so it’s out with all the tatty shirts and in with some fab new pieces. 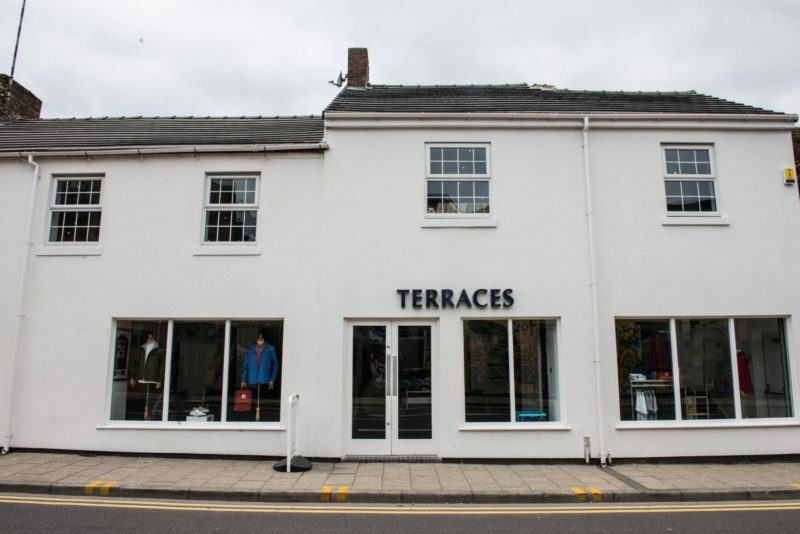 We’ve been browsing Terraces Menswear who supply some of our favourite premium brands all in one place. Keep on reading to see Paul’s choices for this husband takeover Spring wardrobe wishlist! 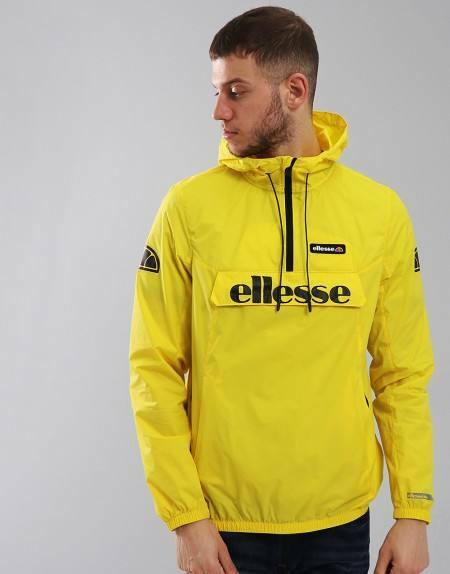 This yellow Berto Jacket from Ellesse is £50 and a great Spring staple. Yellow is a great colour which will always be in fashion this time of year and the half zip detail is really unique for a jacket like this. 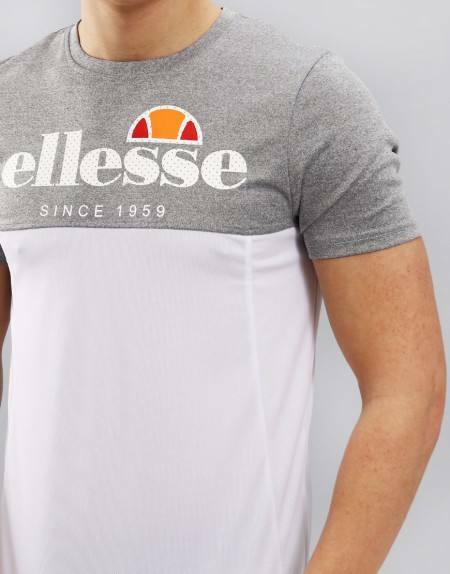 The Meda Tshirt from the Ellesse collection is just £25, and just simple, effortless daywear. 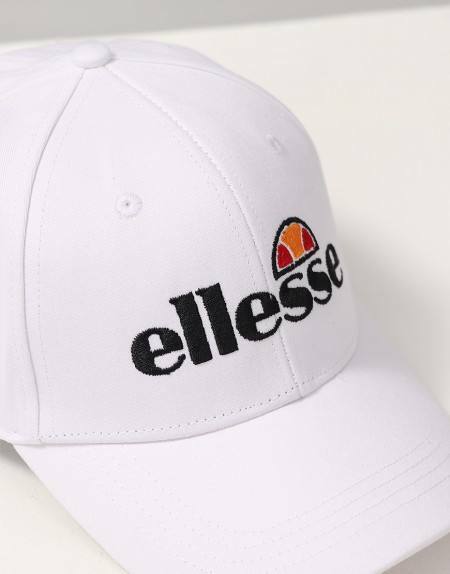 The signature Ellesse style is perfect when paired with jeans, crops, chinos or shorts this Spring. Then we have the Volo sports cap. It’s a signature look and also a smart decision to get investing in some great headwear for Spring now that the UVA/UVB is starting to climb. Protect yourself in style with a white cap- this one’s just £18! 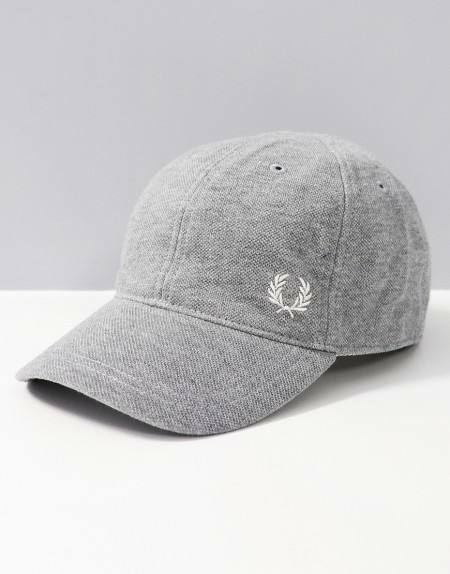 If you are looking for a more subtle cap to wear out and about, this Fred Perry piqué cap in marl grey is the one for you. It would go perfectly with the tshirt above and really bring out the light grey tones- if you have green or blue eyes then this one’s a winner. 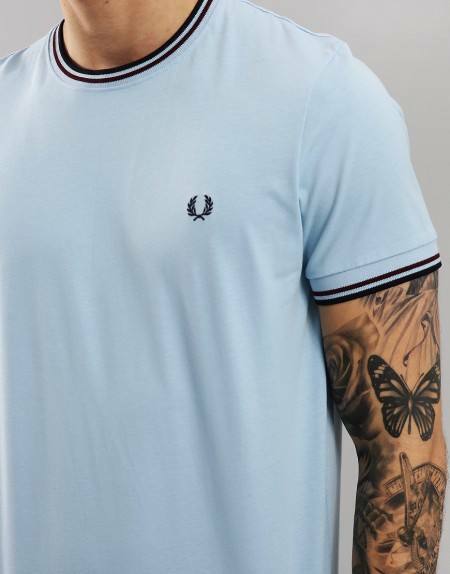 We all love a bit of baby blue, and this is again from Fred Perry. It’s got a £40 price tag and comes with ribbed crew neck and cuffs to match. It’s a great neckline and the perfect way to get those guns out, Spring-ready or not! Eyes down now, let’s talk about shoes. Shoes are a real sore point when it comes to Paul and I. Of course I am bound to have more shoes than Paul, but at the moment even Alice has more shoes than him! He is a real stickler when it comes to footwear, and will only think about replacing a pair when they are falling apart, so I am sneakily adding this one in without him knowing- teehee! 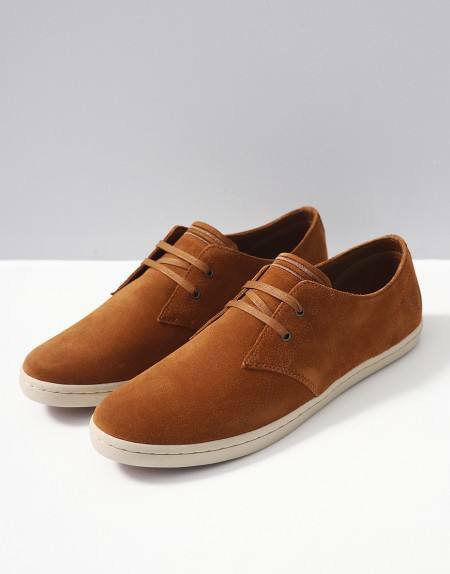 The pair above by Fred Perry (£75) are called Byron Low Ginger and are inspired by the desert boot. Suede shoes are just so good when you wear them right, and I really think Paul should take the hint and GET SOME NEW SHOES MAN. This Sutherland Cross Sweat is right up Paul’s street. It’s a little bit quirky with the waffle/fleece mix. 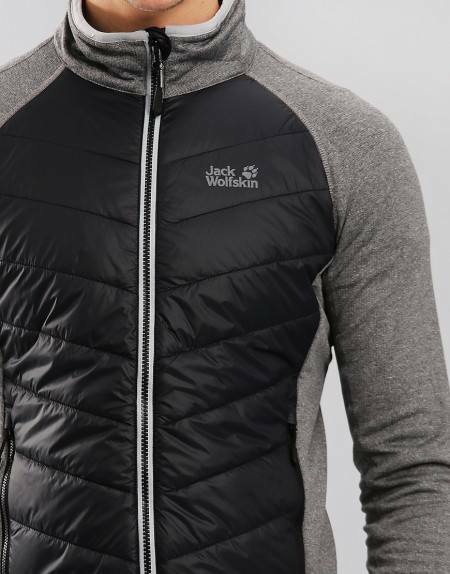 It’s a lightweight material jacket despite the appearance, and can be worn open or fully zipped up to the hood. This jacket checks out at £100, and is a seriously good investment piece for your Spring wardrobe if you ask Paul or me. Last on the husband takeover spring wardrobe wishlist is this striking tee called Mexican Pepper. We all need a little spice in our lives, so why not shake it into your wardrobe? 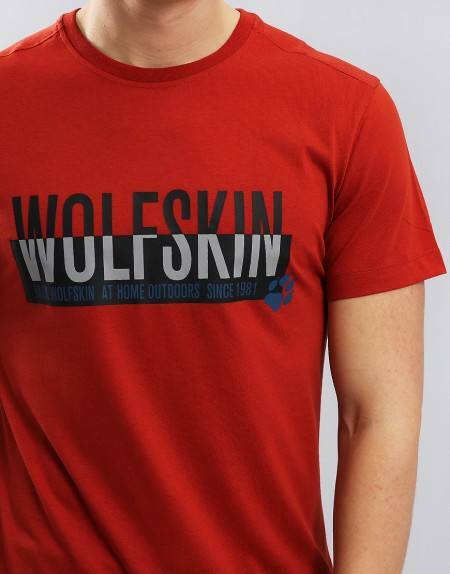 Red may not be the first colour you think of for Spring, but this speaks for itself and at just £25, you can’t go wrong! See more for yourself over on the Terraces Menswear website and discover more brands such a Stone Island, Barbour and Lacoste. We hope you’ve enjoyed this husband takeover, let us know what pieces really stood out to you, and what you think Paul should be wearing this Spring! Ok so I’m not going to admit how long it’s been since I had a haircut, but let’s just say it’s been a very looooong while. My hair, as you may have guessed, is very fine and tends to get tangled up with minimal effort. Since having Alice, my hair has been low down on my priority list as I just tie it up every day, but enough is enough. I just couldn’t keep on living in a hair disaster movie. 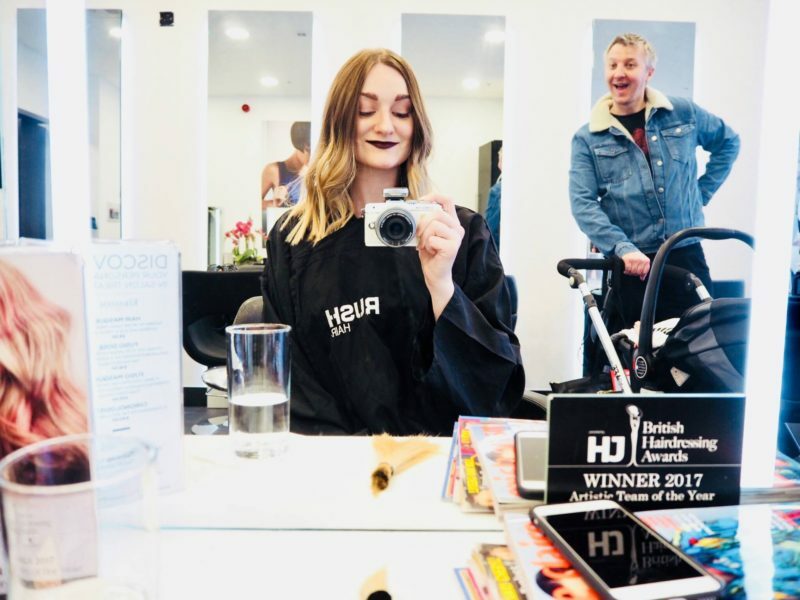 It was too long, way too uneven in colour and so going for the mummy chop at RUSH Hair Shepherds Bush was the plan. We took a before shot from the back and you can see what I mean. 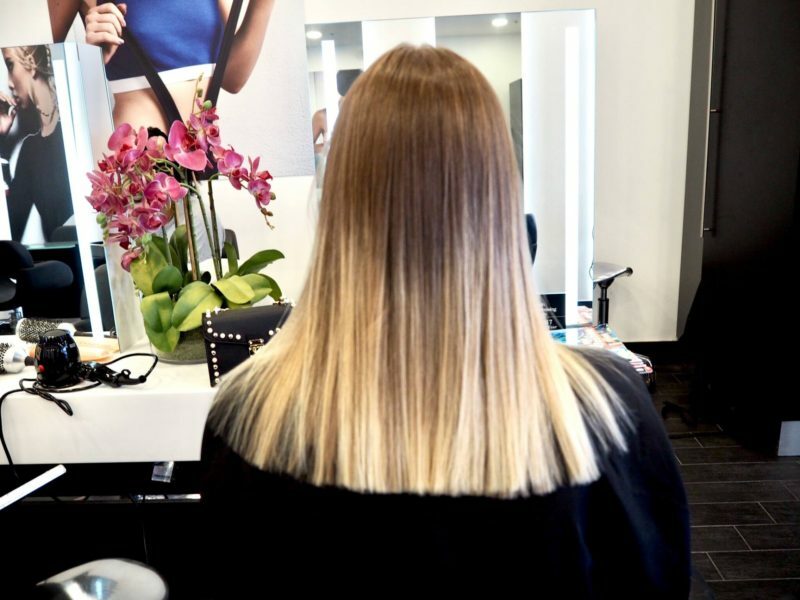 Outgrown roots that could pass for ombré when styled and curled, but left untamed and boring was what we were dealing with. 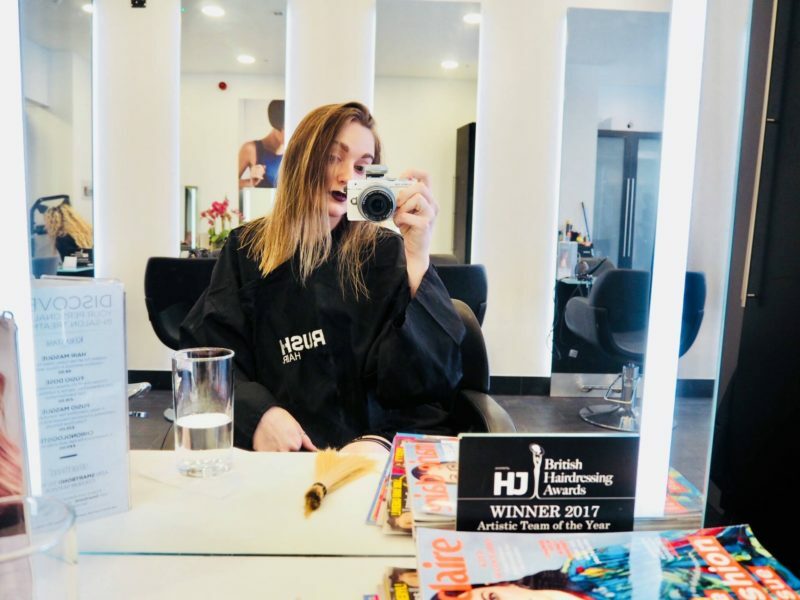 I told my stylist at RUSH Hair Shepherds Bush exactly what I was after, at least 4-5 inches off and a clean cut and refresh. I just love every RUSH salon I go to, the lighting is always on point so you don’t look into the mirror and scream when you see yourself. 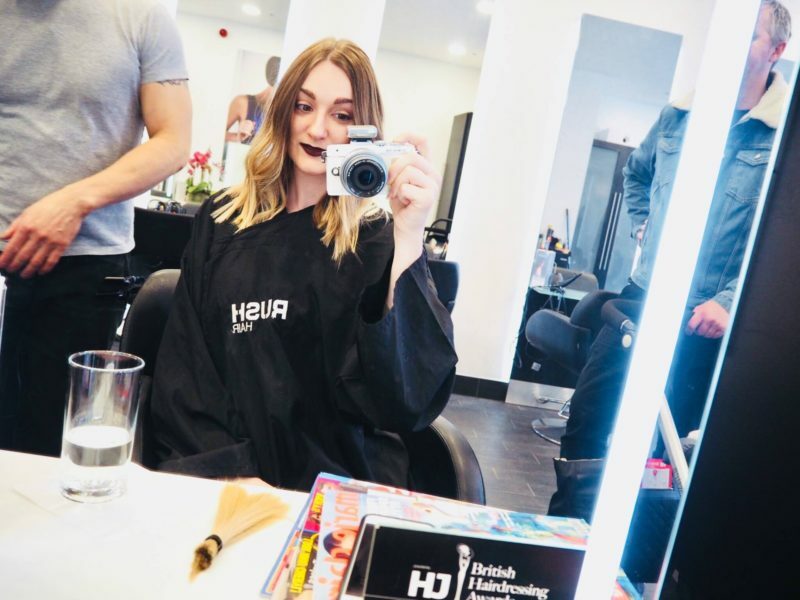 Magazines, drinks and anything you need on hand for a relaxing and stress free appointment. 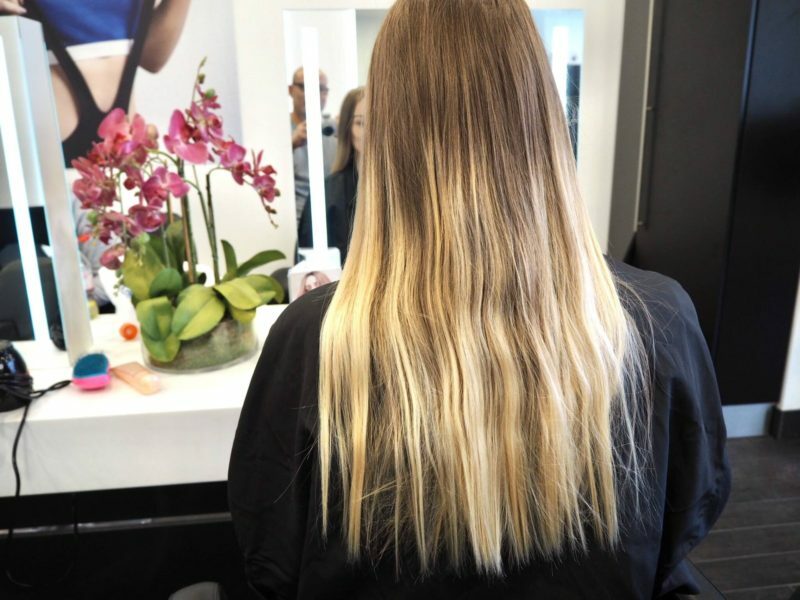 This is how much hair we took off in the end- savage but I felt so good as soon as it was done. Sort of like makeover week on America’s Next Top Model! 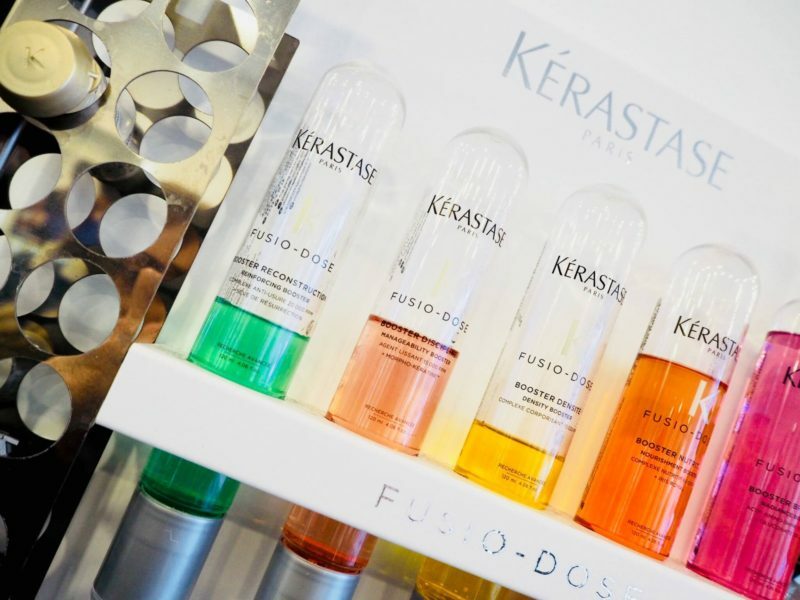 I chose a Kerastase treatment as well, the green vile for reconstruction, and it worked a treat. Here are my after shots- so much better right?! Alice won’t be able to get her hands on my shorter locks so easily, but the length is still long enough to tie back if needed, just not every day moving forward!! 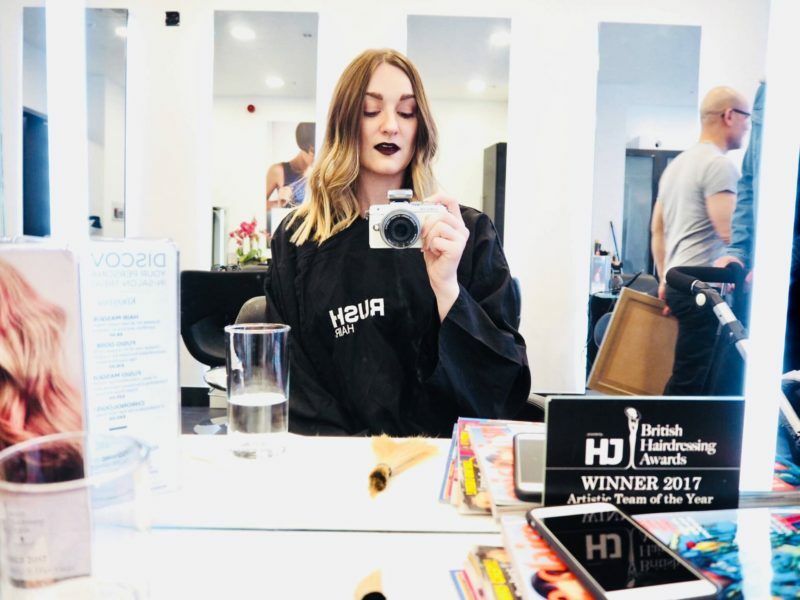 Going for the mummy chop at RUSH Hair Shepherds Bush left you wanting more? Next up is some motivation as I head to my first gym since giving birth!